Wesgarde: Engineered to Deliver. Service, Selection, Value & Support. 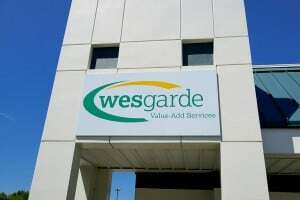 Wesgarde’s Value-Add Division supports our sales professionals by providing the technical expertise required to meet a customer’s unique requirements. We pride ourselves on our commitment to quality, low minimum-order quantities and quick turnaround. From sophisticated Vendor-Managed Inventory Programs to light manufacturing jobs to engineering support, Wesgarde’s Value-Add programs are your company’s logistical and engineering solutions. Wesgarde value added services & flexible inventory management solutions. When ‘just-in-time’ (JIT) just isn’t good enough anymore, Wesgarde routinely works with both ends of the supply chain to help OEMs maintain optimal inventory levels of the critical electrical components they need. Not only does Wesgarde vendor managed inventory (VMI) capabilities streamline and simplify the ordering process for customers, it also frees up both financial and human resources to help improve their bottom line. Unlike many of the larger distribution conglomerates, Wesgarde inventory management programs can be customized and tailored to match your company’s existing processes. No dictation, only collaboration. At Wesgarde, we won’t force you change how you do business, in order to do business with us. Wesgarde value added services – Light manufacturing, printing, packaging, assembly and more. Wesgarde not only provides OEM customers with the best product selection available, our skilled technicians also provide a wide range of value-added services such as electronic assembling, potting, kitting and even custom printing. Wesgarde does not impose large minimums or excessive set up charges to customize components or create sub assemblies. 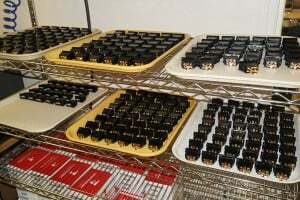 Some of the most popular Wesgarde value-added services include in-house printing, bar coding, packaging, hot stamping, custom switch assemblies, terminal blocks, din rail assembly, and wire termination. For more information about any of our value added services, contact Wesgarde today. Contact your local Wesgarde office today!